This year my garden did pretty well, and one of the things I got out of it was 3 pie pumpkins. My wife prepped them for freezing by roasting them and puréeing them. I wanted to try to make a pumpkin ale with one of them; not because I particularly like that type of beer, but because she does. The goal was to make pumpkin pie in a glass. The end result was actually pretty close. This batch was still before I figured out my water problem, so my efficiency wasn't very good. 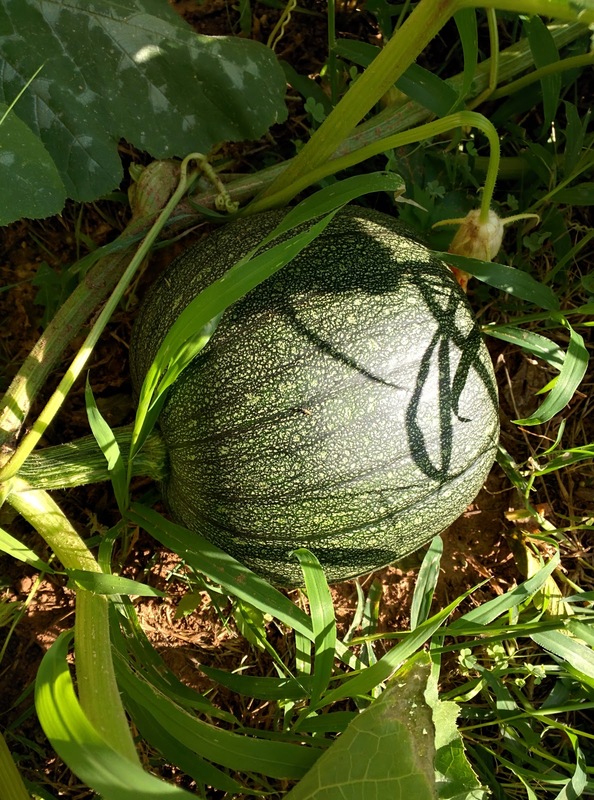 I used 6-row barley because of its greater enzyme content; I wanted to make sure I could convert as much of the pumpkin starch to yeast food as possible. I did a step mash for this one as well, partially so I could have a protein rest stage to help with clarity later on. For hops, I used jarrylo; just enough to give some bitterness and maybe some subtle flavor. Supposedly it has hints of banana and pear, which I figured would go relatively well with this type of beer. Additionally, I had plenty laying around. Fermentation was uneventful, as was kegging. Drinking was quite enjoyable though. It turned out just about as well as I was hoping it would. The only problem with it was the pumpkin spice; there was just too much of it and it was a little overpowering. If/when I do it again, I will probably cut the amount I used in half. Other than that, it had a great, full mouthfeel with a reasonable hint of sweetness that went well with the spice. 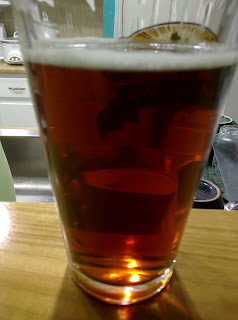 As it settled out in the keg it got quite clear and developed a bit of a graham cracker taste as well, which, again, went great with the sweetness and pumpkin spice. Not sure if the pumpkin was discernible, but whatever. My full recipe, brew day, fermentation, and tasting notes are below. 1/4 TSP Burton salts in the water for the hell of it. 10/3/2015: brew day. Used 4 cups of hot tap water to rinse the bag after mash. 9.5 brix before adding DME, about 14 brix after. Gravity in fermentor 1.063/15 brix. Activity started about 24 hours later. 10/14/2015: gravity is 1.014. Still has a krausen...which is odd. Tastes really good. 10/22/2015: kegged. pressurized and shook the keg a bit. 10/24/2015: tasting. Good lacing and head. Fairly clear already. Good residual sweetness. Thick, round mouthfeel. Too much pumpkin spice added, very prominent. Little hops bitterness, but some fruity aroma from the jarrylo. Overall, very good, would brew this way again, with small tweaks to the pumpkin spice amount. 11/13/2015: tasting. Graham cracker taste/smell has developed. Very clear now. Pumpkin spice is starting to mellow a bit. More well rounded now. 11/28/2015: keg died. Beer was crystal clear. Very good. Yielded 258oz. Banana smell started to become apparent...maybe the jarrylo?